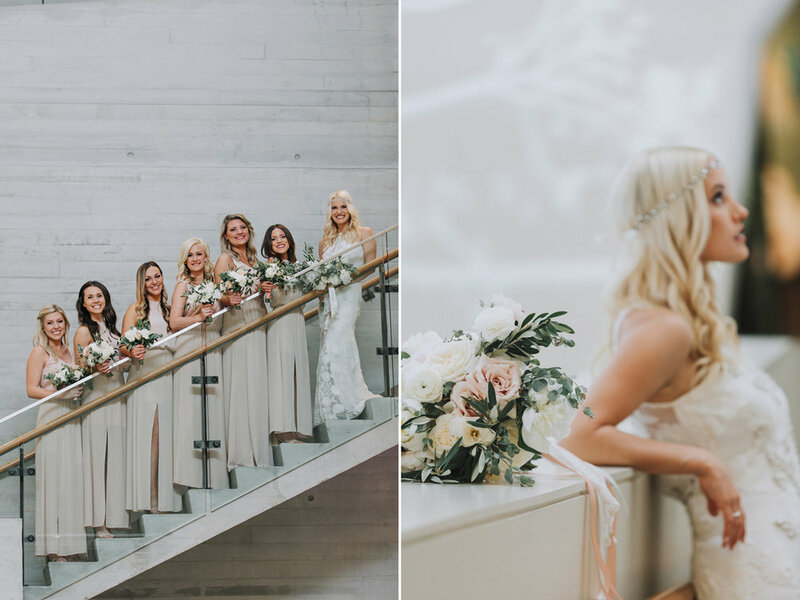 This April wedding at Utah's Natural History Museum was one of a kind. The location created quite the ambiance for their ceremony and reception! It was transformed from a modern day cathedral into a vibrant party. And the floral's by Blooms & Co. added a soft elegance to each image. One thing that really stands out to me from this wedding (beside Kaleigh and Brett being amazing clients to work with) was that they decided to have two photographers. And with such a large space and such a fun group, we didn't want to miss a THING! Enjoy!